freshly painted, only a professional company like “Mike’s Five Star Painting Company” can promise you professional results. • When applying finish coats we recommend using 100% acrylic stains and paints. We also recommend brushing the product onto the surface being painted to ensure the paint or stain penetrates the substrate to allow maximum adhesion and protection. NOTE: Spraying is discouraged, due to overspray on windows, chimneys, cars, etc. Again, this method does not provide your paint or stain enough penetration to always adhere to the substrate. These are critical steps in assuring your house is painted properly. Your house is probably your family’s most important asset and should be cared for and protected properly with professional results. All rotted wood on houses must be cut out and replaced before any painting or prep work can be started. Using wood filler is like putting a band-aid on a cut. It falls out sooner, rather than later! Our professionally trained carpenters are licensed and have over twenty years in the carpentry field and have many skills to accomplish any carpentry that our customers desire, from installing interior moldings, to building decks and sheds. There are no jobs to small that we can’t fix for your home. Are you confused by the different prices in painting estimates? Is cheaper always the best way to go? One reason why there are so many fluctuations in price estimates from various companies for the same work, is because many painting companies do not carry the proper insurance on their workers or sub-contractors, which is key to protecting the customer. When something goes wrong, the customer could be held accountable and could become involved in a large financial loss. True Story: A family living in the Worcester County area hired a local painting company to paint their home. One of the painter’s accidentally fell off the garage roof and landed head first in their driveway and tragically died from the injuries related to his fall. The painting company doing this work had no Workers Compensation Insurance on his painting company, nor his employees! As a result, the family of the deceased painter, sued the homeowner to cover medical, funeral costs and future hardships for the wife (single mother) and her three young children. It is important to remember, that you the homeowner, not only visually check contractor’s insurance certificates, but also call! Call the insurance company to verify that the company has a minimum Workers Compensation Policy that covers all of his/her employees. These policies are expensive for the painting company, but they are necessary to protect the customer in case of an accident. 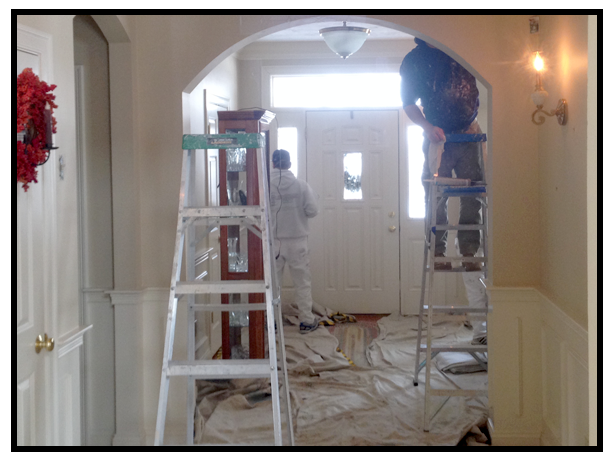 Many painting companies choose not to carry insurance because of high cost and take that risk. Also, remember to be sure that top of the line products (100% Acrylics) are used when painting or staining your house. This will ensure maximum longevity and protective results with your painting job.